Search: Find exactly what you want using the search function on the left sidebar. Save: Save your favourite stock items so that you can quickly revisit them later. 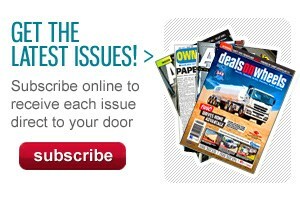 Sell your item in Deals On Wheels magazine as well as Tradetrucks.com.au - all for just $30. 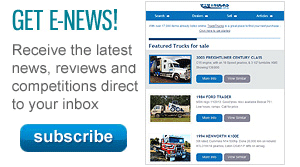 Browse: See our comprehensive list of specifications for trucks, buses and vans. Our new and improved parts section makes it easier than ever to find what you need. 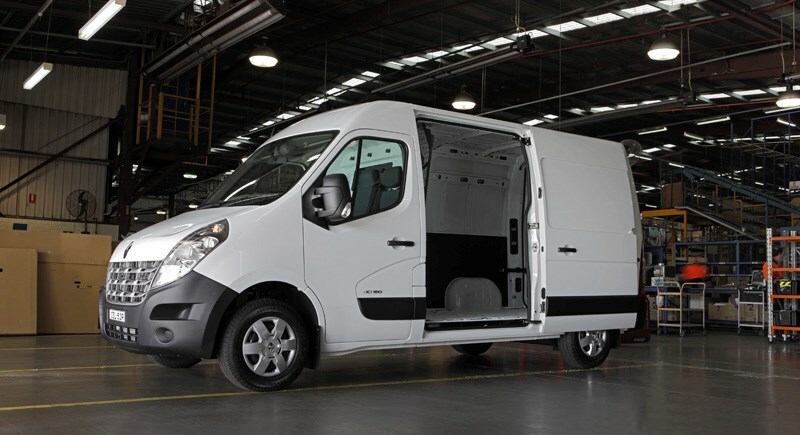 The Renault Master van shows why the company has a stranglehold on the European van market, yet Renault is only a small player in Australia. Gary Worrall got to test a (significantly revised) version of the Master van. 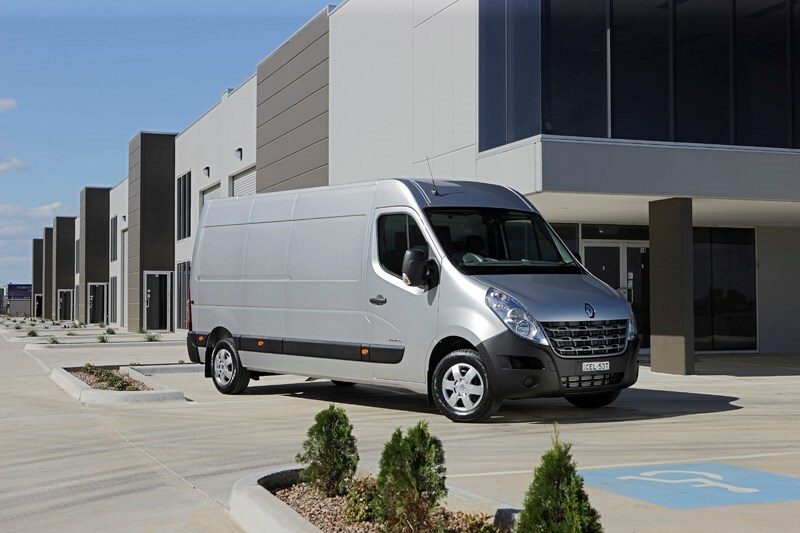 Drawing on 14 years as the top selling European light commercial van, Renault is using the launch of the new Master van to spearhead an assault on the Australian market. 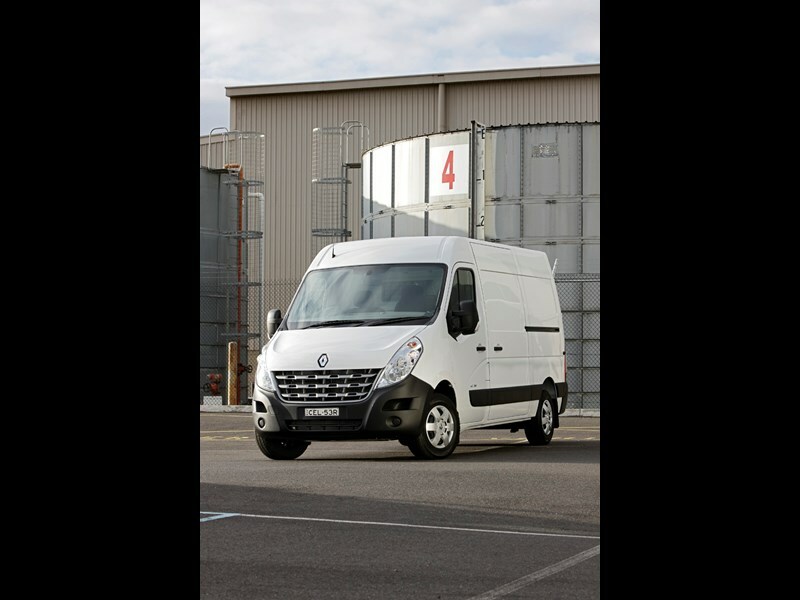 Offering a definite French take on the bonneted van design, the Master is snub-nosed, with a curved bonnet line that plunges down the grille into the high bumper line, creating plenty of ground clearance. The free-form headlamp assembly also includes park lights and indicators, while the plastic bumper sections have cut-outs for the optional fog lamps and cornering lights. Interestingly, given the size of the Master, the windscreen is no larger than a medium-sized passenger car, although this reduces the amount of heat entering the cabin while still offering a full field of view for the driver. The electric mirrors look like they came from the Renault truck division and are mounted on two industrial-strength hinges. Although Australia only gets a choice of medium or long wheelbases, the high roofline means there is not only plenty of storage space, but only the very tallest operators would be unable to stand upright in the cargo bay. Available in either single or twin sliding door configuration, the single door versions feature interesting 'character' lines on the right-hand side, showing the cut-outs for adding the second door. 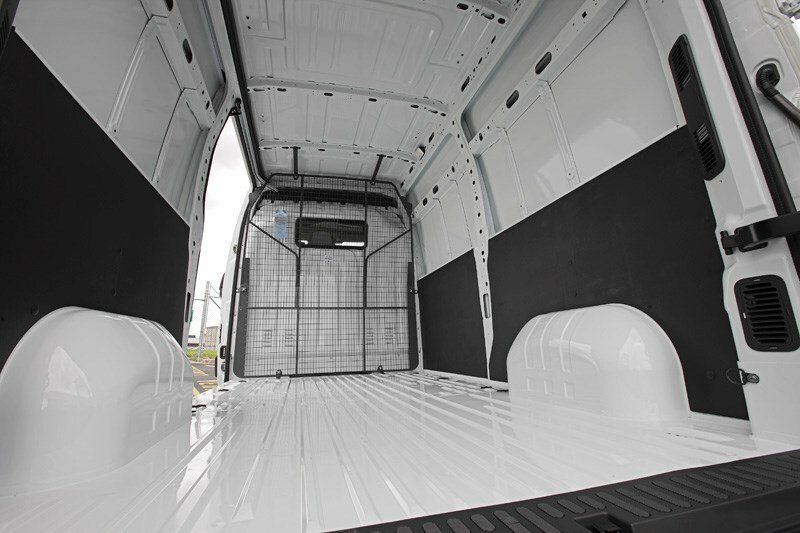 There is also a 'rubbing strip' down each side protecting the body work from poorly placed stanchions, loading bays and other objects that might damage the paintwork. The Master rides on 16-inch (41cm) rims, shod with 225/65 tyres, providing a thick sidewall to absorb initial road shock while still offering a reasonable level of road holding. 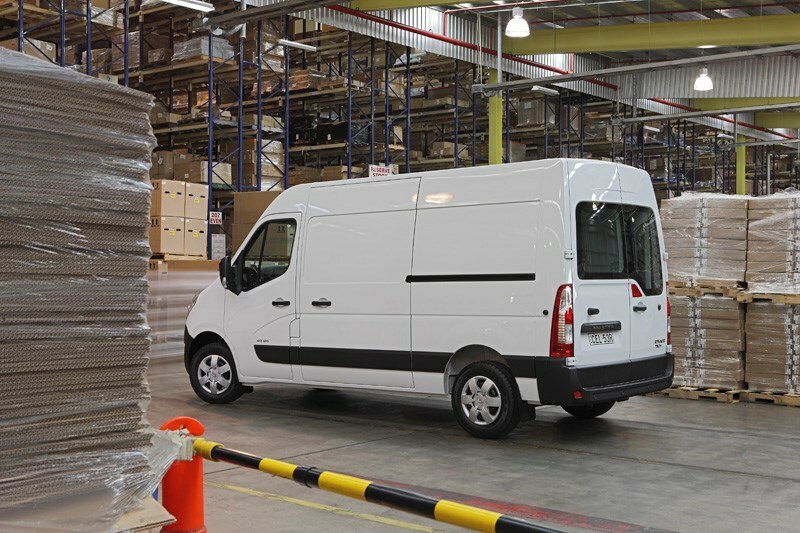 With a GVM of 3.5-tonnes the Master offers 1,600kg of payload, or up to 12.5m3 of space in the long wheelbase version, plus another 2,500kg in a braked trailer, offering plenty of options for operators. 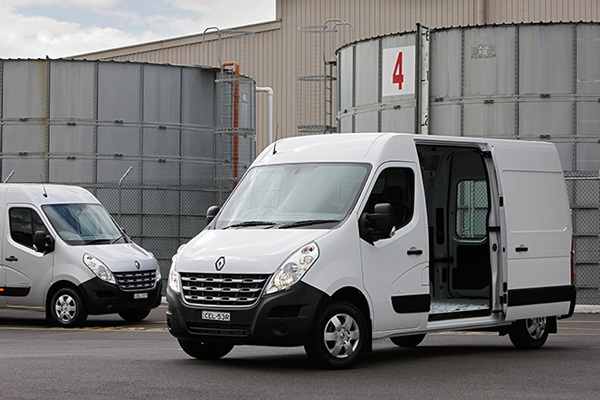 The new Renault Master runs a 2.3-litre four cylinder diesel engine with electronically controlled common-rail fuel injection and variable geometry turbocharger with intercooling. 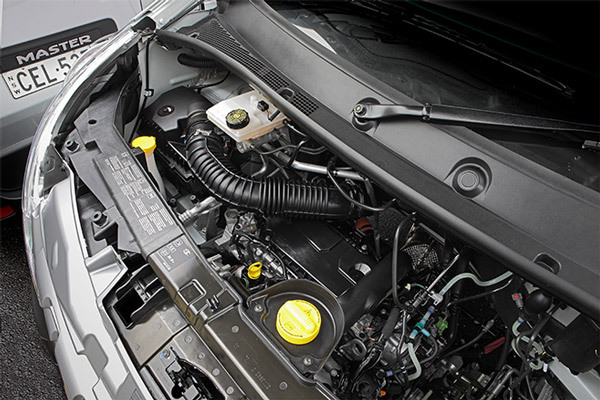 The van’s engine offers 107kW of power at 3,500rpm and 350Nm of torque at 1,550 rpm to 2,750rpm. 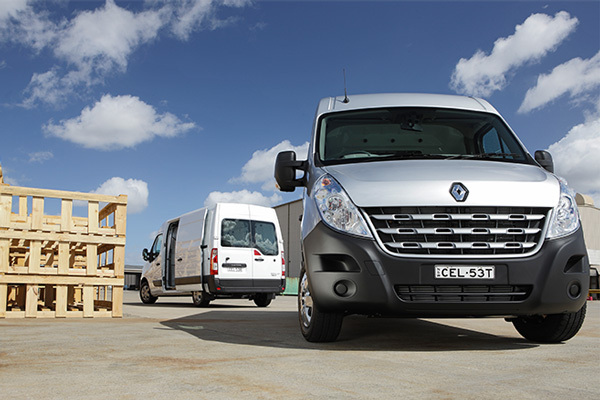 The Renault Master will be available with a choice of 6-speed manual or 6-speed Quickshift automated manual with computer controlled clutch. 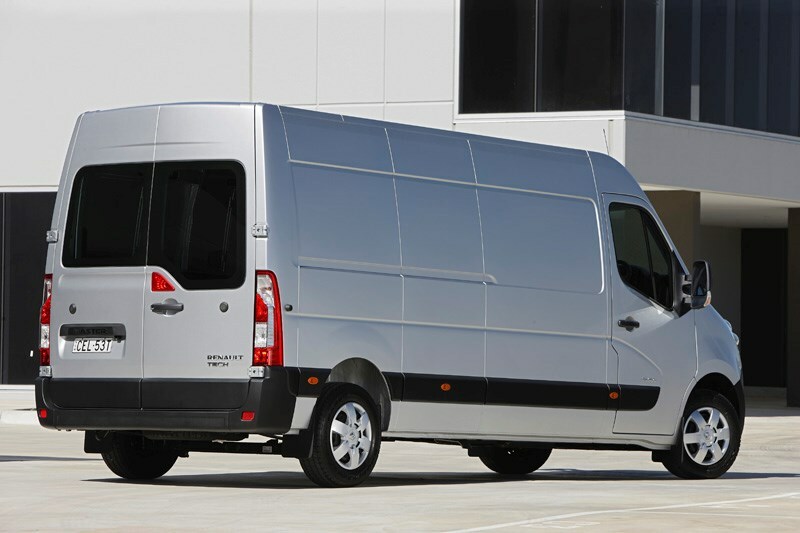 Like Hyundai's iLoad van, the Master offers an imposing driving position. The full height door swings open wide to make the climb up seem less daunting, although there are no short cuts, the entry steps are not there for show. As with the exterior, the interior is not only functional, but industrial in both form and function, although that does not mean utilitarian with plenty of Gallic design touches introducing a sense of style to the cabin. 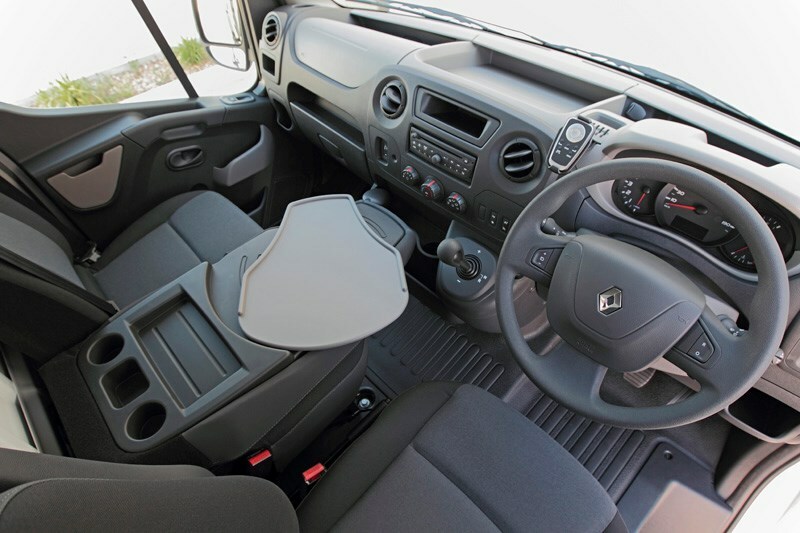 Appropriately for a French vehicle, there is numerous drink holders, from dash-mounted versions ideal for a tall latte to the water jug sized door pockets, as well as another pair in the centre seat back that folds down into a work table. With enough storage spaces to hide everything from a wallet to a laptop computer - true story, in the top of the dash, there is even a lid in the optional convenience pack - the Master offers a comfortable workspace for operators on the road all day. In terms of equipment levels Australia receives the range-topping models with plenty of goodies standard, including cruise control, speed limiter, AM/FM/CD/mp3 stereo with Bluetooth connectivity, as well as driver and passenger front airbags, anti-lock brake system (ABS), electronic brake distribution (EBD) and electronic stability program (ESP). While the standard model is well-equipped, there is an extensive list of optional extras including a driver's suspension seat, automatic lights and wipers, glazed body side windows and a plywood wall lining in the cargo bay. Improving occupant safety even further, Renault offers a 'Safety and Security Pack' with driver's head and thorax airbag, automatic headlights and front wipers, alarm, heated rear window, fog lights and cornering headlights (except when the driver suspension seat is specified). Renault is offering two other option packs, the 'Convenience Pack' of a storage compartment under the passenger seat, 12V rear load area power socket, driver and passenger additional door storage, sunglasses storage, and lidded dashboard storage large enough for a laptop computer. There is also a 'Premium Pack' with an integrated global positioning system (GPS) with the display screen mounted above the rear-view mirror, rear parking camera with display incorporated into the driver's sun visor (replaces reversing sensors) and multimedia connection box (aux jack and USB). 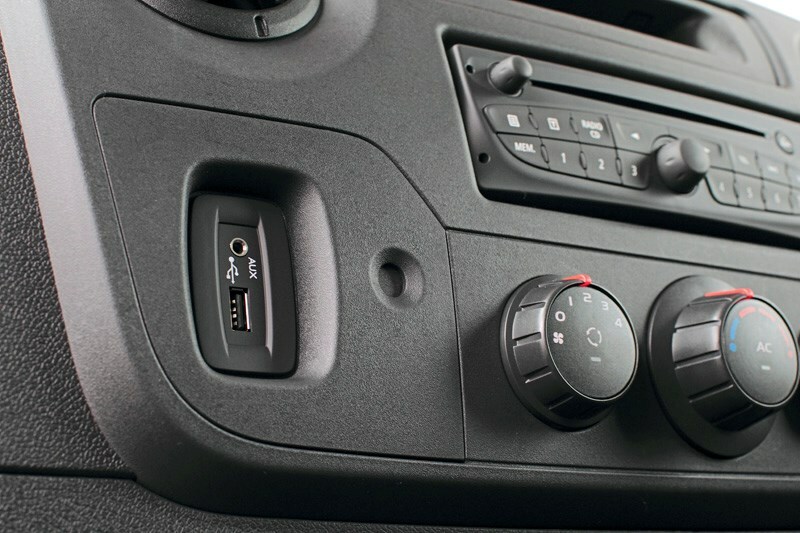 Typically French quirks include the cruise control buttons spread between a dash-mounted rocker switch and a pair of thumb buttons on the steering wheel face. The only real criticism on the day was a lack of space between the dash-mounted gear lever and the steering wheel for taller drivers, although even this was not a critical fail. 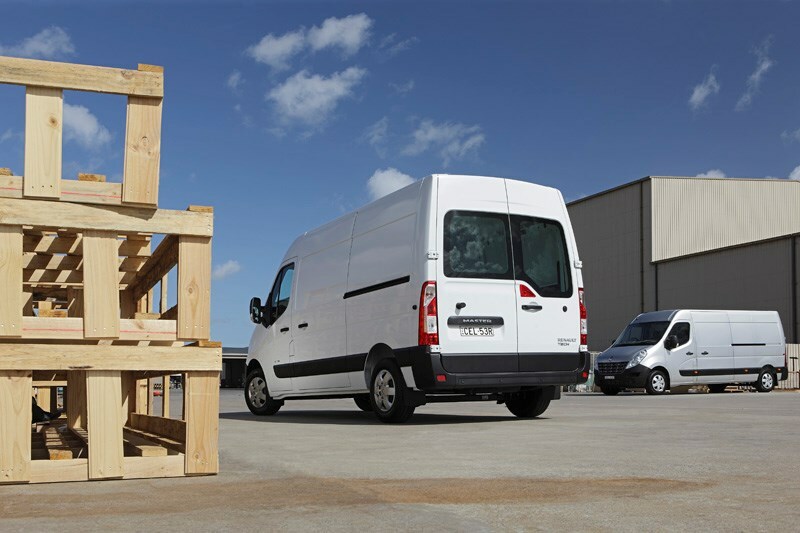 With a wide variety of loading configurations available, Renault is confident the Master will appeal to plenty of operators, pointing out that there is an option to suit virtually any need. 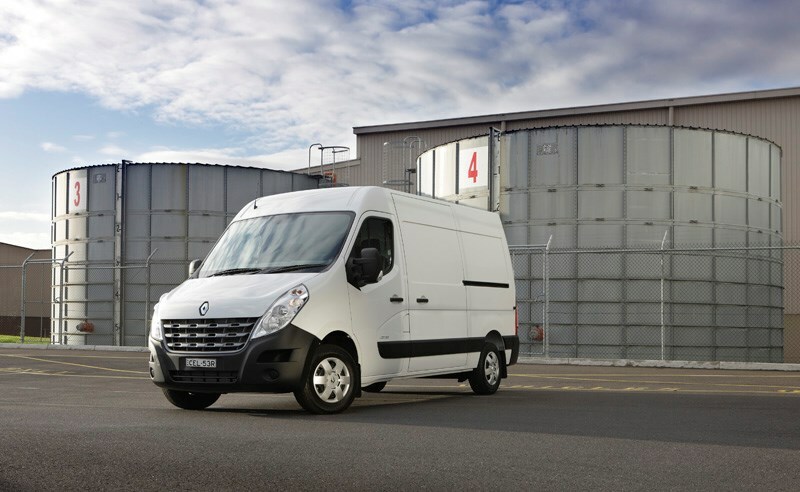 Capitalising on the ability to hold two standard pallets, the Renault Master is available with rear barn doors that open 270 degrees on 'swing out' hinges for ease of fork lift operations, although a tailgate can be specified. 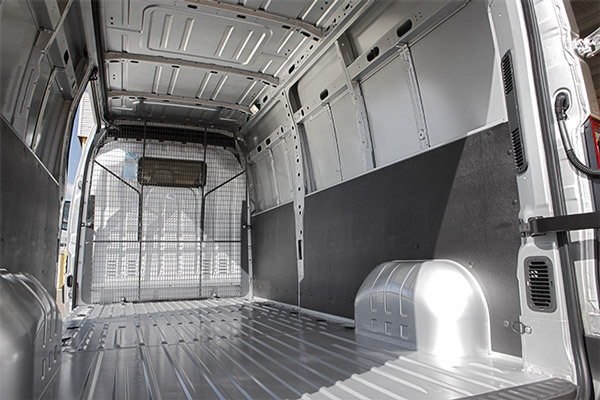 There are also tie-down hooks, as standard, to prevent cartons from beating themselves to death in transit, while a timber floor is available: a good choice for pallet work to eliminate scrapes, scratches and pallets snagging while being loaded. 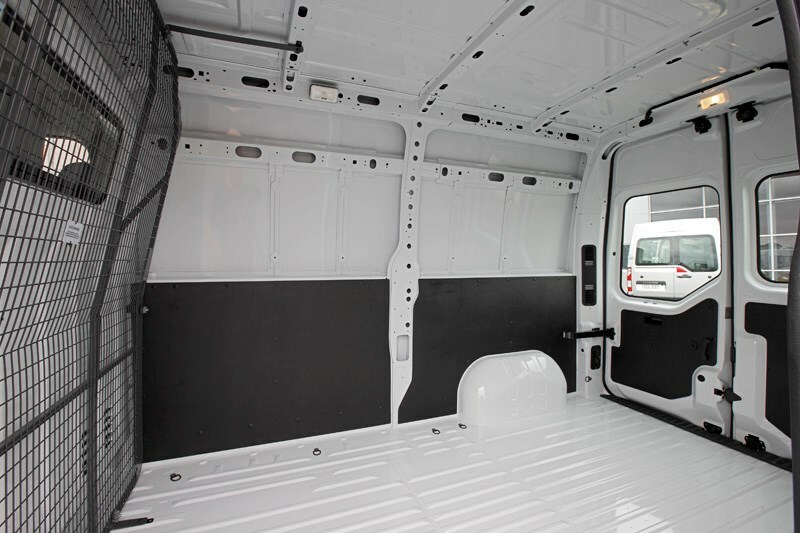 This combines with optional half- or full-height wooden wall lining to ensure the van structure is protected at all times. 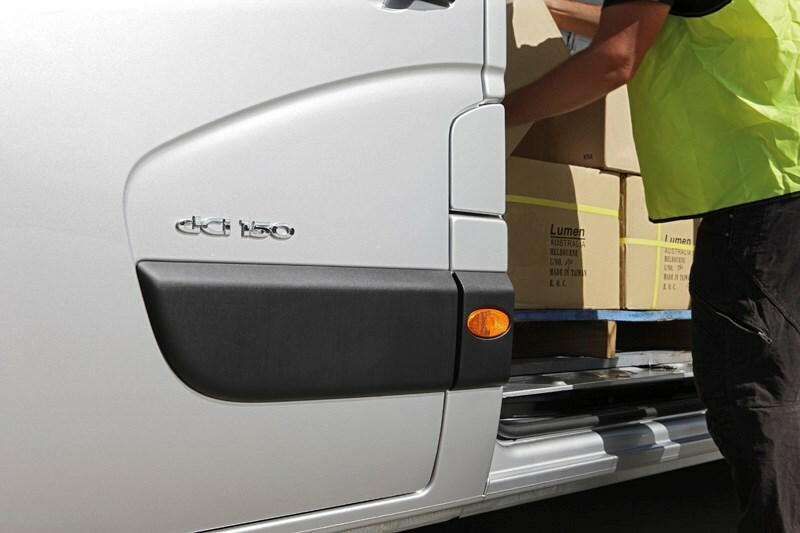 Impressively, Renault is fitting an AS4034-compliant cargo barrier, along with a steel bulkhead, including a glazed window, to protect driver and passengers from errant cargo. 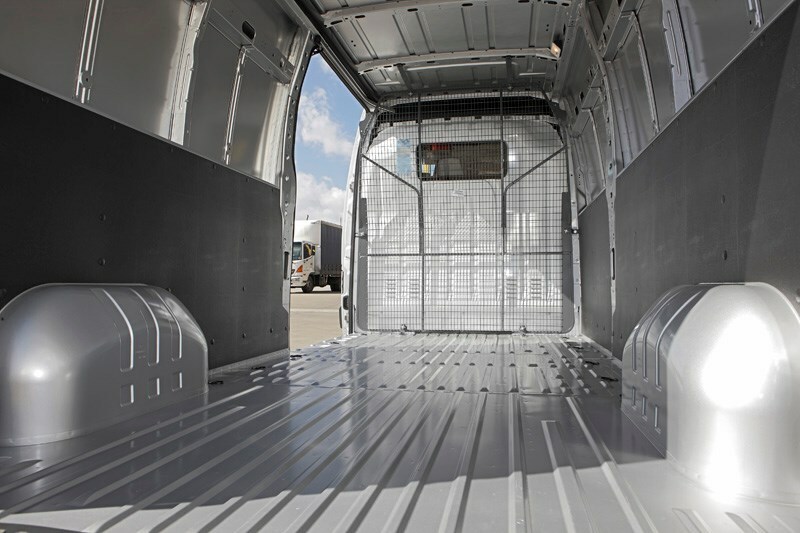 For side-loading, the Master is standard with a left-side sliding door, with the option of a second door on the right, but importantly both doors are wide enough to accept a full-size pallet. As part of the launch, Renault included a short drive program through some of Melbourne's more spectacular industrial precincts, including Altona and the Port of Melbourne. With a test load of 500kg fitted, both the manual and QuickShift versions were reasonable performers, offering a good mix of acceleration and cruising ability. Although rated to 6 tonnes, the manual gearshift and clutch was surprisingly light. With many decades of passenger car experience, Renault have cabin layout and driver comfort down to a fine art. The steering offers a level of feel that somehow only Europeans seem to be able to give, while switches are easy to find and operate. 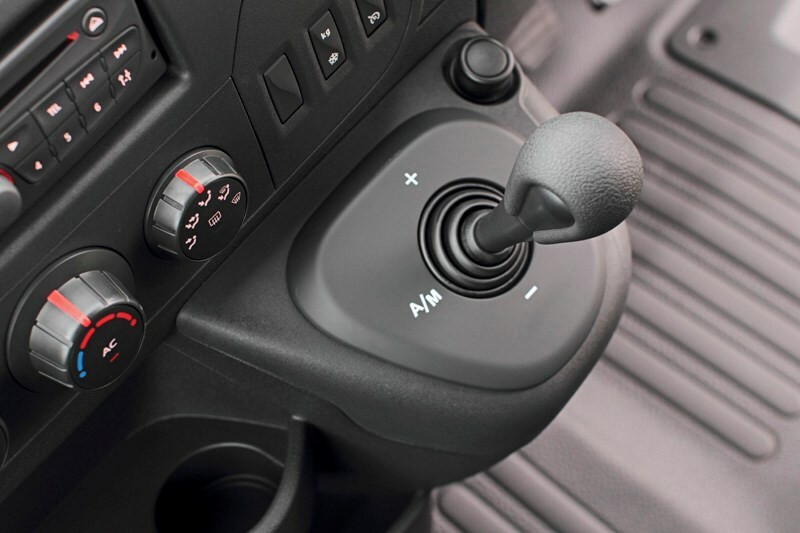 Admittedly there are still some French design trends, such as audio controls mounted on a mini stalk under the wheel so that they are operated by feel rather than sight, but even that becomes intuitive after a short drive. 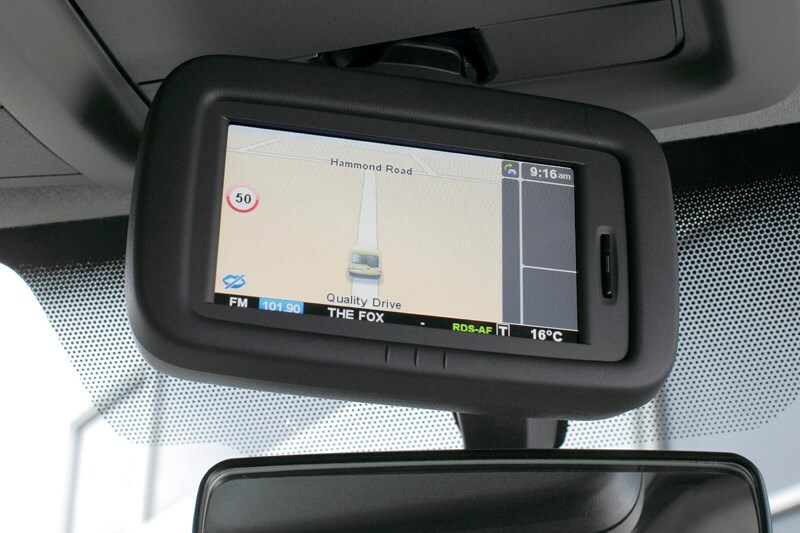 The most unusual is the mounting of the reverse camera display behind the driver's sun visor, while the GPS screen is mounted in a pod above the central mirror. 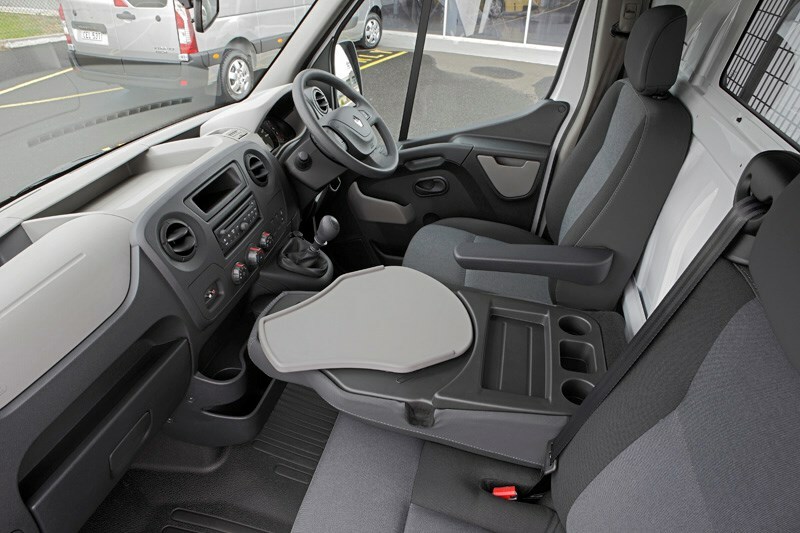 The GPS has a dash-mounted remote control, another clever idea, so that drivers are not leaning out of their seats to programme the unit or switch between displays, enhancing operator safety. 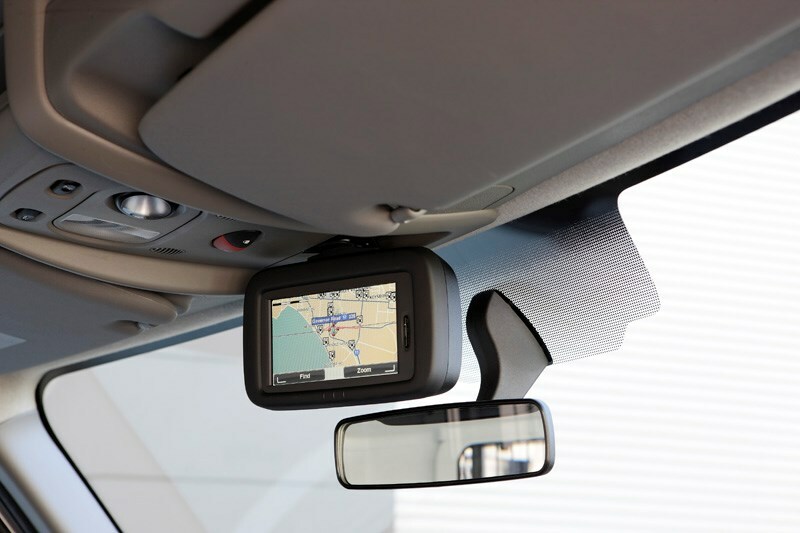 Although odd they are both functional, the high-mount GPS keeps the main field of view clear, while the reality of reversing a windowless van is that the driver relies on door mirrors for most information, so looking up into the sun visor for the camera screen does not add any danger to the situation. Both screens offer good resolution. The reverse camera did not suffer unduly from flaring in bright light so the driver always had a good image of what is behind the vehicle. The general visibility is good. Renault wisely opted to include spotter mirrors on both sides to help eliminate blind spots; reversing out of a tight spot revealed a reasonable turning circle for the medium wheelbase, while the long-wheelbase struggled slightly during a tight U-Turn, not surprising given the 4.3m wheelbase. Despite years of market dominance in Europe, the Master is currently only a bit-player, although there is no doubting Renault's determination to change this. 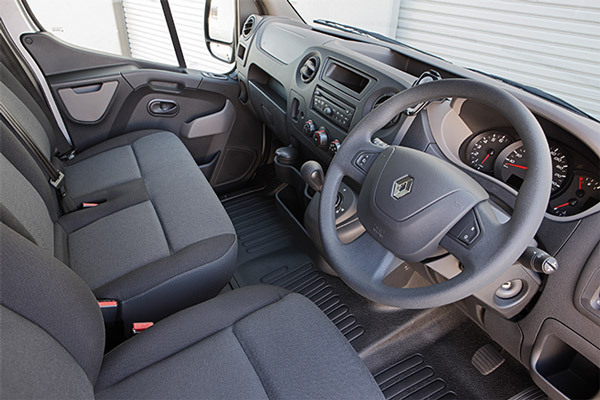 At first glance, the Master offers a good quality vehicle that is comfortable to drive with decent levels of comfort for operators, as well as a strong safety offering - not a bad thing in a market where owner-drivers and big fleets often make up the bulk of buyers. Add to this a new warranty of three years or 200,000km and the use of long-life components and consumable, including a 60,000km coolant change interval, which means more time in-service, and commercial operators may start to see the Master has become a serious contender. You can also follow our updates by liking us on Facebook.